Diamond Developers has adopted B100 biodiesel to fuel the construction of the new buildings in phase 2 of Dubai Sustainable City, the new developments include Fairgreen International School, Hotel Indigo, and the innovation centre. 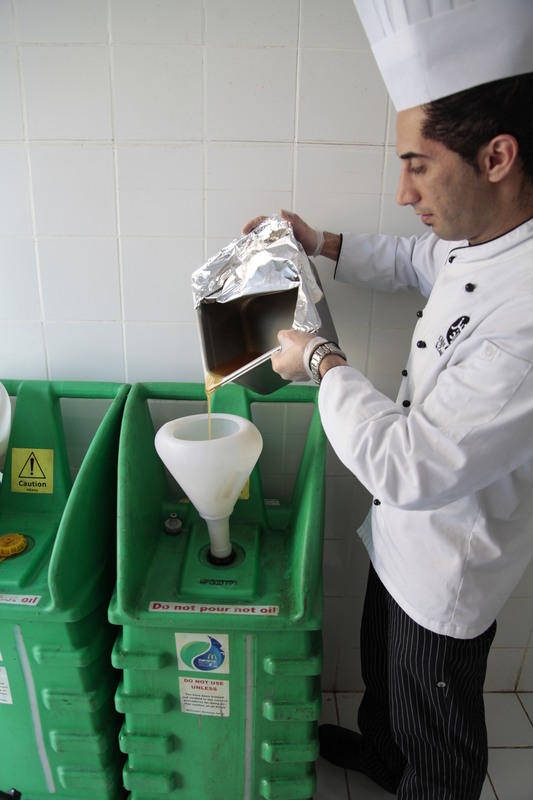 The renewable fuel alternative is manufactured from used cooking oil consumed by restaurants located in the community plaza, and will allow The Sustainable City to reduce its carbon footprint by up to 150 tonnes of carbon dioxide per year during the construction period. According to WAM, the Sustainable City’s B100 biodiesel is manufactured from used cooking oil and produced at Neutral Fuels’ bio-refinery in Dubai Investment Park. Compared to conventional gasoline and petroleum diesel, B100 cuts harmful emissions such as carbon monoxide by 50%, polyaromatic hydrocarbons by 90%, nitrogen oxides by 95%, and particulate matter by 99%. B100 diesel is non-hazardous, which minimises occupational risk, and is also sulphur free and 100% biodegradable, meaning it leaves no toxic residues. It requires no engine modifications and its high lubricity, combined with its excellent cleaning properties, make it the ideal sustainable alternative to conventional diesel.